Not everyone receives healing, but that doesn’t mean healing was not available to them. Not everyone receives salvation, but that does not mean that it’s not available! 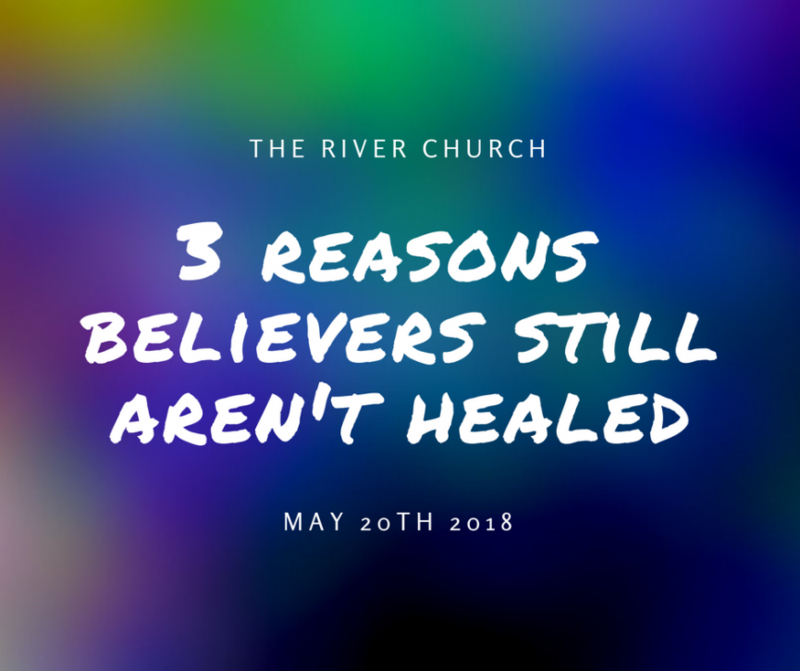 There are a lot of reasons people won’t receive their healing. Some people don’t know ‘how’ to receive from God by faith and must be taught. Others let their pride hold them back. Some feel they don’t even need to receive, because they believe if it was Gods will for them to be healed, they would be! While others are just waiting on God, and believe “someday” they will be healed. Receiving is creating a point where you make a decision and release your faith, believing that you have it now, without doubting. Like the woman with the issue of blood, she said, “If I could just touch the hem of His garment, I will be made whole.” A lot of people touched Jesus that day, because He was in a crowd. Her touch was a different touch. She created a point where she would release her faith. When she touched Jesus, she believed that He would touch her. She was healed, and Jesus didn’t say, “Because you’ve touched My garment, you were healed.” Jesus said, “Daughter, thy FAITH hath made thee whole!” You know, you can do that when a minister lays hands on you, you can say, “The moment that man of God lays his hands on me, I believe I will be healed”, or even “Before I walk out of the doors of church, I believe I receive my breakthrough.” Create a point where you use and RELEASE your faith! Receive what God has for you now in Jesus name!! Faith begins where the will of God is known. We can know the will of God by looking to the Word of God. His Will is in His Word! Jesus went around doing good, healing all those who were oppressed by who? The devil. Sickness and disease is demonic oppression. On what day in the Garden did God create sickness and disease? He didn’t! Sickness and disease came into this world as a result of the curse when man rebelled against God. Part of the reason Jesus died on the Cross was to redeem us from the curse (Gal 3:13). As faithful as God is to forgive all your sins, the Bible says He is faithful to heal all our diseases! In John 9:5-7, Jesus ministered healing to a blind man. He gave him instruction on how to be completely healed by telling him to “Go and wash in the pool of Siloam.” When he did as Jesus said, his sight was restored. Sometimes, sickness and disease remains because of our own disobedience towards God. Whether God has given you specific instructions, or whether it is something in the Word, we have to make sure our lives are submitted to God. I’ve known people personally who could not get healed, until they forgave someone who wronged them. Are you in the center of Gods will for your life? Is your life truly right before Him? Are you walking in love? Are you winning souls? Are you doing everything you know to do to live a godly life? Things went terrible for Jonah when he was in disobedience to the plan of God for his life. Prayer and fasting couldn’t help him. Only repentance and submission to the will of God brought about his “breakthrough”. When we draw near to God, He draws near to us. If your heart is not right with God, make a decision to return to Him today. Today is your day of liberty, today is your day of freedom!